Keep in touch with us and stay informed on our Blog page. 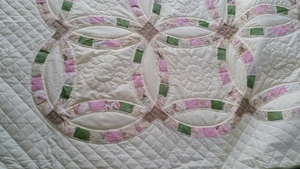 We offer specialized services in quilt repair, restoration, construction as well as custom quilting and binding. 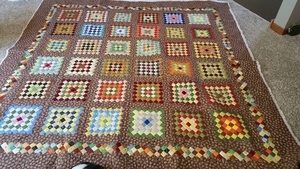 Ruby's has over 89 Amish and Mennonite women with years of hand quilting experience to ensure we can handle all of your quilting needs. 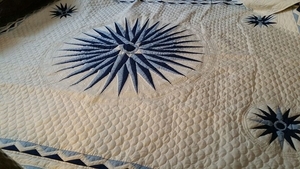 You will find that with our service you will have little to no wait getting your quilt blocked and completed for you in a reasonable time. 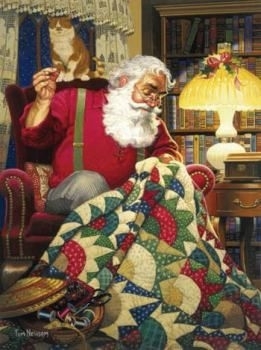 Holiday Season Special....20% OFF HAND QUILTING SERVICES for all customers. no quantity limits. 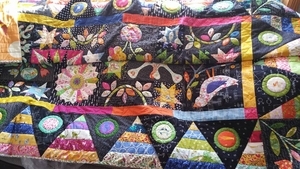 Hand quilting is an art and no one group does it better than the Amish and Mennonite woman that are partnered with Ruby's Hand Quilting Service. 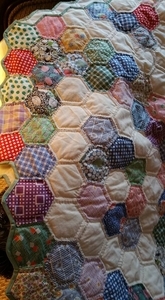 Each quilt repaired or constructed is treated as a special heirloom. 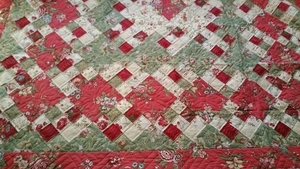 Our hand quilters work hard to complete each quilt just as you request. 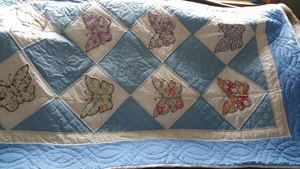 We offer not only hand quilting, also, quilt binding, quilt repair, quilt restoration and we will even finish your unfinished quilt project. You may also be interested in our memory and T-shirt quilts.